More than a dozen bills have been filed this session that would let more two-year colleges offer four-year degrees. Community college has long been a popular place to start working toward a bachelor’s degree. Soon, it may become a place to finish one, too. 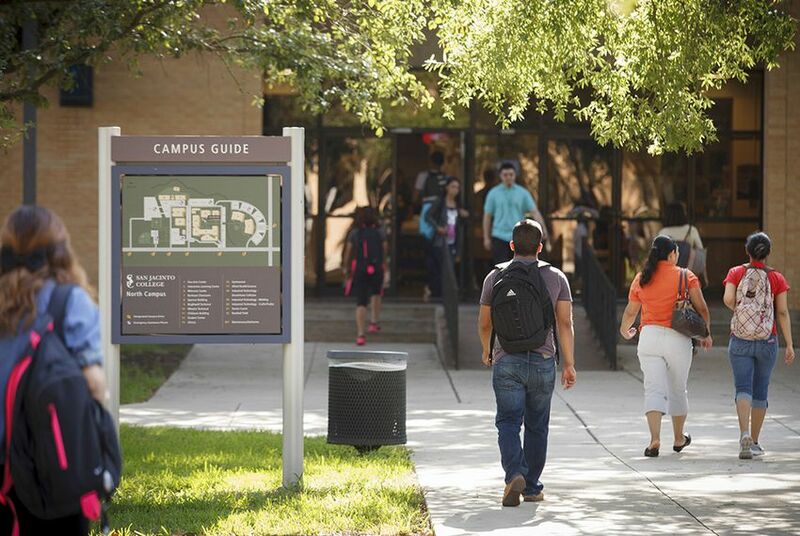 College administrators across the state are hoping to convince Texas lawmakers to authorize them to begin offering four-year degrees in a limited number of fields. It's a goal they have been working toward for years, and this year chances are stronger than ever that they'll succeed because powerful members of the House and Senate appear to support the idea. Right now, just a few schools have that right — South Texas College, Midland College, Tyler Junior College and Brazosport College. But more than a dozen lawmakers have filed bills that would let some or all schools in the state add four-year programs. “There is definitely an appetite in the House,” said Rep. J.M. Lozano, R-Kingsville, chairman of the House Higher Education Committee. The same is true in the upper chamber, where Senate Higher Education Committee Chairman Kel Seliger, R-Amarillo, is one of the lawmakers who have filed a bill. In past years, he said he's been skeptical of the idea. Supporters say the bills would increase the number of students who earn a four-year degree in the state and would help Texas ease worker shortages in skilled industries like nursing, applied technology, applied science and early childhood education. In nursing, for example, there’s a widespread shortage of qualified candidates. Making matters worse, nearly 40 percent of registered nurses in Texas are 54 years old or older. The Texas Center for Nursing Workforce Studies predicts that the state will be 60,000 nurses short of demand by 2030. Steve Head, chancellor of Lone Star College, which has campuses around the Houston area, said his school would be excited to help shrink that number — and do it in a way that's affordable. "We have the necessary facilities and faculty in place today to help address the industry shortage needs," he said. A 2014 study commissioned by the Texas Higher Education Coordinating Board found reticence from many in the higher education community. Skeptics worried that it would result in mission creep at two-year schools, spark more competition between universities and community colleges and increase costs at two-year schools. The Texas Nurses Association has been skeptical, too, saying in advance of this year’s legislative session that it needs to see more evidence that bachelor’s degree programs work at community colleges before it supports the idea. “What we want to make sure of is, no matter who offers a nursing program, that the nursing program is accredited and it is going to help the nursing profession one way or another,” said Andrew Cates, director of government affairs for the association. But many lawmakers have come around to doing it in a limited way. Seliger’s bill, a companion of which was filed in the House by Rep. Sarah Davis, R-West University Place, would limit each college to three baccalaureate degree programs. Those programs could only be in fields of nursing, applied technology and applied science. Other bills offer variations in the number and types of degrees offered. Both higher education committee chairmen said they expect to begin holding hearings on the ideas in the next week or two — and that they are hopeful to find a solution. “It should not break the academic model or the economic model of community colleges,” Seliger said. Disclosure: Lone Star College has been a financial supporter of The Texas Tribune. A complete list of Tribune donors and sponsors is available here. Correction: This story has been updated to add Tyler Junior College to the list of schools allowed to offer bachelor's degrees. TJC was authorized by the Legislature to offer a bachelor's of science degree in dental hygiene in 2015.